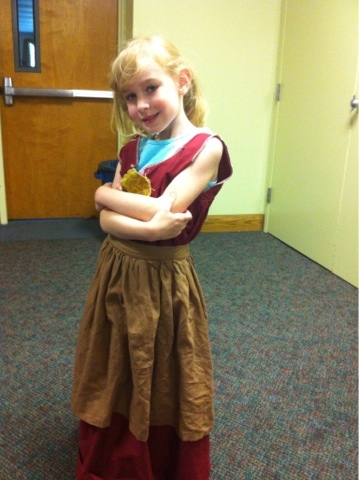 Alice's first summer camp was acting camp. 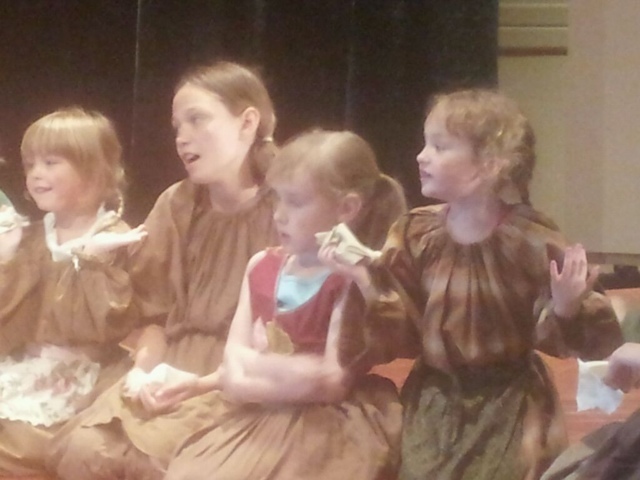 The play they would be doing was Annie. I was worried Alice would be shy and have a hard time with new teachers and kids, but Alice surprises me daily :-) She LOVED acting camp. 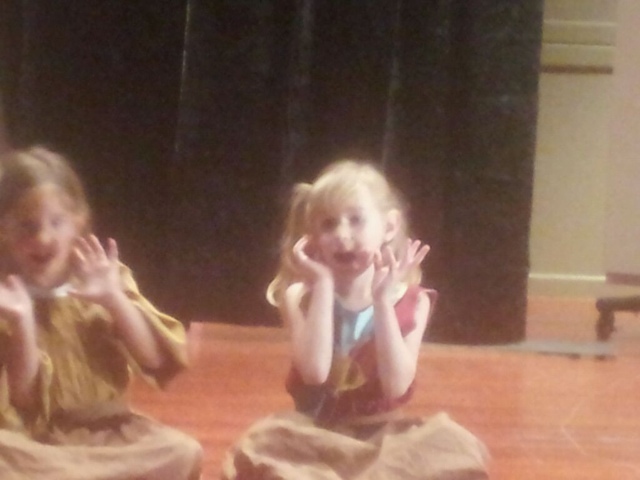 Even though she had a small part in the play, she sang loud and proud in all the musical numbers. She also learned most everyone else's part too. The week after acting camp Alice would be a one girl show re-enacting pretty much the entire play. The next week was gymnastics camp. This camp was only half day, but Alice did great with new teachers and kids. She defiantly liked acting camp better, but this was fun too. We did go ahead and sign her up for another acting camp in August. UPDATE: Weeks later and Alice still breaks out in songs from this play while we are driving. She will also go through all the lines for all the characters of the play on occasion.